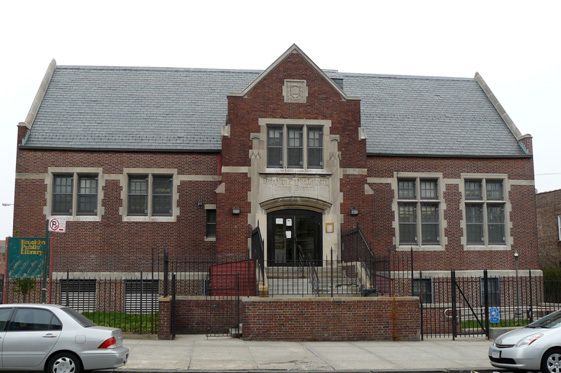 The two-story, Tudor Revival Washington Irving branch opened in 1923 — the 21st and last Carnegie library built in Brooklyn. Library specialist Edward L. Tilton designed it with a unique gabled roof. Known as “Irving Branch” until 1944, the library was renovated in 1960 and 1986, when the collection was arranged in a “merchandising” format to encourage people to browse.